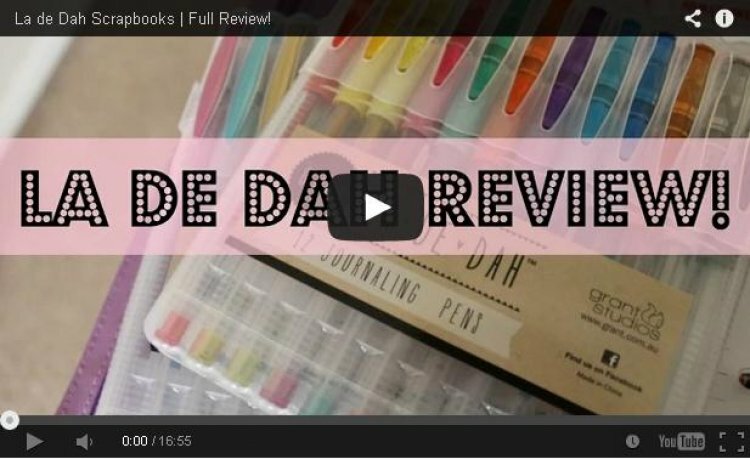 When Chloe got in touch with us earlier in the year and showed us her brilliant You Tube video reviews of the La De Dah scrapbook range we were impressed with her honest and helpful reviews of the range. "Stick it in and jot it down. There are no rules, no need to be neat or plan out that perfect page, just have fun and make it your own!" Fast forward a few months and we have a brand new collection of 3 new journals with coordinating accessories. Chloe was one of the first people to try the new journals and here she shares her personal and honest reviews of the collection. We hope you enjoy her videos, we think she is a craft star in the making and we hope you enjoy all the new items in the collection. If you have any questions just ask us below. We would love to see your La De Dah layouts in our project gallery!